Light this delicious scented candle while you drink your morning coffee! 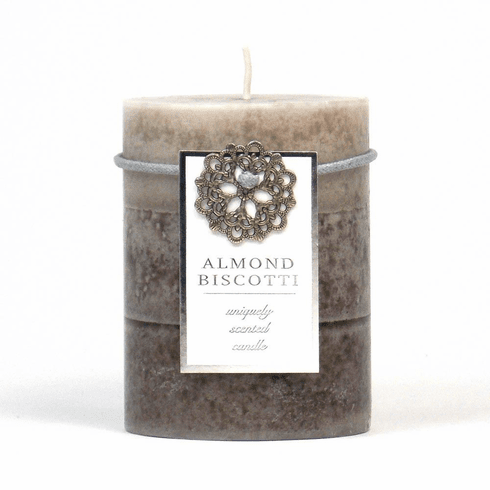 This Almond Biscotti scented pillar is infused with delectable notes of vanilla, crunchy almonds, spiced sugar and hints of anise and raspberry. Weight 0.75 pounds. 3" x 3" x 4". Paraffin Wax. UPC Number: 843730051061.